Seniors with Alzheimer’s disease or dementia require a higher level of care than those who are suffering only from the common signs and symptoms of aging. Alzheimer’s is one form of dementia, a disease that affects the brain and, specifically, memory. Although there are other forms of dementia, Alzheimer’s accounts for as much as 80% of all cases. Alzheimer’s is a progressive disease. It causes an increased loss of their memory over time. At some point, they will begin to have difficulty completing basic tasks they need to perform every day. All Heart Home Care offers the specialized home care that San Diego clients with these conditions require. Once the condition becomes apparent, the person usually needs help with their daily activities. Our caregivers provide the most compassionate and experienced non-medical Alzheimer’s – dementia home care by focusing on their areas of strength. Seniors with Alzheimer’s disease or dementia require a higher level of care than those who are suffering only from the common signs and symptoms of aging. Alzheimer’s is one form of dementia, a disease that affects the brain and, specifically, memory. Although there are other forms of dementia, Alzheimer’s accounts for as much as 80% of all cases. Alzheimer’s is a progressive disease. It causes an increased loss of their memory over time. At some point, they will begin to have difficulty completing basic tasks they need to perform every day. All Heart Home Care offers specialized Alzheimer’s – dementia home care that San Diego clients with these conditions require. Once the condition becomes apparent, the person usually needs help with their daily activities. Our caregivers provide the most compassionate and experienced non-medical Alzheimer’s – dementia home care by focusing on their areas of strength. The caregivers from All Heart Home Care are specialists at creating structure, redirection, and continuity in the person’s life. They will develop a daily activity plan that will engage your loved one and keep them happy. Continuity in the care they receive will provide your loved one with a greater level of ease. If your loved one becomes confused or wanders, the caregiver will know how to address the situation.  Our entire team is devoted to providing Alzheimer’s – dementia home care in San Diego that is safe and engaging. Caregivers are trained and experienced in what it takes to create a safe environment while keeping your loved one engaged in daily activities that they enjoy. The quality of training that caregivers receive makes the difference in their understanding of their client’s special needs. They learn the scope of responsibilities of their job and what it means to create and implement a home care plan. The training also covers many activities that help build confidence and prolong memory in people with Alzheimer’s and dementia. Safety is another component of the best training caregivers can receive. They learn about hygiene and infection control and how to maintain a clean, safe, and healthy environment in the home. Caregivers must be trained to take several precautions for their safety and that of their client. They also learn emergency procedures and how to use first aid. Every caregiver is trained to understand the procedures in emergency preparedness. Our agency nurses provide training to give our caregivers the information they need for every client’s specific needs. We train them to handle every potential situation when providing Alzheimer’s – dementia home care home in San Diego. Alzheimer’s disease cannot be cured, and treatments are limited. The disease progresses as the nerves in the brain continue to die. However, a biological mechanism called “cognitive reserve” has proven to keep the brain functional even after Alzheimer’s and other forms of dementia occur. People with a minimum of sixteen years of education have shown to experience less degeneration of the nerves in their brain than those with less education. It has long been believed that education prevented the progress of the disease. Now, it looks like it may prevent the pathology from occurring at all. Cognitive reserve is the difference in how different people perform tasks. These differences seem to make some people more resistant to these diseases than others. Some research expands on the idea of education and includes engaging occupations and some leisure activities. While the full extent of the benefits of cognitive reserve has not been implemented, there is every indication that activities that engage the person’s mind can help to slow progress and possibly even prevent the disease. These principles are the basis for many of the activities our caregivers provide with Alzheimer’s – dementia home care in San Diego.